AT&T today announced they are taking pre-orders on the new Nokia Lumia 900. It’s available in either matte black or cyan blue, with white coming later this month on April 22nd. It’s priced at $99.99 and that’s with a new 2-year agreement. Also included is free shipping. 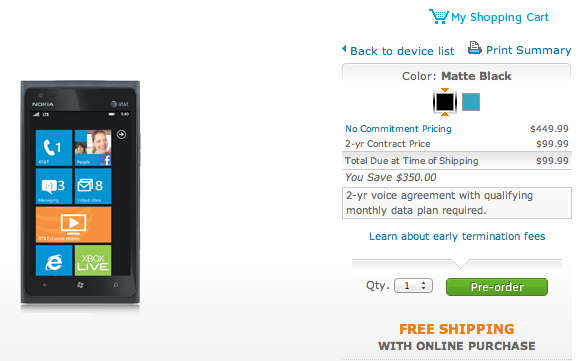 Visit this AT&T page to pre-order your Nokia Lumia 900.